Technological advancement has transformed nearly every aspect of modern life – perhaps none more essential and complex than the practice of education. As quickly as time ticks forward, new technology developments emerge, affording today’s students unparalleled advantages and deeply differentiated learning opportunities. From adaptive digital learning platforms and data analytics to user-generated content, communication systems and a host of other solutions, technology in the classroom is evolving at an unprecedented rate. Amidst this explosion of innovation, individual schools and districts can become overwhelmed by all of the technology options, approaches and philosophies at their disposal. To help you overcome this challenge and make the most of technology in the classroom, this guide features comprehensive information and insight. Gain valuable knowledge about how technologies have unfolded over time, what tools are available, what criteria you should use to evaluate them, how to navigate implementations successfully, what pitfalls to avoid and what you can do to optimize technology in the classroom. Begin reading the full guide below, or fill out the form for a downloadable PDF version that you can reference later. Today’s students live in a vastly different world than learners of the past. Technology has completely changed the way they play, learn and interact with each other. From instant access to limitless sources of information to evolved expectations for customization and control, technological advancement has permeated nearly every aspect of daily life – and education is no exception. Whereas learning engagements were once primarily focused on chalkboard-facilitated lessons and lectures – and computer usage was limited to one PC per school – today’s students now operate their own individual devices, and classrooms are outfitted with a myriad of technology applications. With the mass use of tablets and multifunctional devices, as well as the demand for customization and personalization in consumer technologies, classrooms are integrating technology as a vital educational tool. Tech is enabling teachers to convey information more efficiently and empowering students to explore, research and learn more effectively. The publication of A Nation at Risk spurred a palpable crisis in education. The Department of Education was formed by the federal government to promote student achievement, and at the same time, the Digital Age was taking shape with the emergence of personal computing devices, software and revolutionary operating systems. In the classroom, technology was more of a peripheral tool. Students of this era are likely to remember tools like overhead projectors, calculators and/or intermittent visits to the computer “lab” to engage in games that fostered problem-solving abilities, basic English and math lessons and even typing skills. Many reforms were focused on standards-based education, measuring each student against concrete standards. These standards, in turn, steered the direction of curriculum, assessments and professional development. Concurrently, hardware and software became more sophisticated, and personal computing became more powerful. We were introduced to the World Wide Web and experienced the proliferation of email. It was at this time that we began to see technology supplement instruction in our schools, providing students with greater opportunities for informational access and introducing them to brand-new opportunities for research and communication. Education policy focused on measuring progress and enforcing accountability; this includes the adoption and implementation of No Child Left Behind - the Elementary and Secondary Education Act. In 2009, the Common Core State Standards were designed to provide a clear and consistent framework for educators. PARCC and Smarter Balanced assessments became the norm for testing systems across the country, and districts were required to adopt devices for digital assessment. Additionally, new funding sources (such as the Gates Foundation) added fuel for schools to quantify progress and raise achievement levels. The Department of Education created “Race to the Top,” a competitive grant to spur and reward innovation and reform in state and local districts. This decade was marked by the rise of portable technology and "smart" devices, as well as unsurpassed connectivity. In the classroom, teachers began using digital curricula, schools adopted online gradebooks and Learning Management Systems, and internet access became more ubiquitous. States today are required to develop plans to comply with the Every Student Succeeds Act (ESSA), which replaced No Child Left Behind beginning with the 2017-18 school year. Congress has since appropriated $1.9 billion for the 2019 fiscal year to fund states in three categories of programs and activities: providing students with a well-rounded education, supporting safe and healthy schools, and promoting the effective use of technology. Depending on each state approach, ESSA generally allows for increased flexibility in districts’ ability to design personalized education systems that respond to the needs of every student. With new technologies growing at breakneck speed (artificial intelligence, video applications and social networking, to name a few), as well as evolving strategies to align with ESSA, there are many reasons to be optimistic and excited about what more this decade – and the future at large – will bring. At the crux of these initiatives, however, is an urgent need to contextualize technology in a larger framework of supporting students and teachers. The following chapters help to address these challenges and shed light on the most effective approaches to technology implementation in education. 1- IS TECHNOLOGY IN THE CLASSROOM IMPORTANT? John Hattie is a leading educational researcher and director of both the Melbourne Education Research Institute at the University of Melbourne, Australia, and the Science of Learning Research Centre. In his groundbreaking study “Visible Learning,” he ranked 138 influences that affect learning outcomes. He found that the average effect size of all the interventions he studied was 0.40, so he judged the success of influences based on this number to determine what works best in education. A number of the influences related to technology, or those that technology might support, scored well above this number, including response to intervention (1.29) and deliberate practice (0.79), among others. As such our ability to leverage these solutions in achieving high-scoring, highly influential educational effects is hugely important for today’s schools and today’s students. This transformation has also enabled a fundamental shift in information access. Whereas teachers and school leaders were once the main keepers of this access to information, and therefore the singular sources of knowledge, educational technology has made it possible for both teachers AND students to access a wealth of knowledge at their fingertips. That said, the use of technology does not in any way guarantee student or teacher success. Leveraging technology successfully will depend on the student, the teacher and, more generally, the teacher’s intentional instructional approach, as well as the systemic supports in the school and district. 2- WHAT IS THE ROLE OF EDUCATIONAL TECHNOLOGY IN LEARNING? Each student possesses a unique level of background knowledge, which impacts how they will learn a particular concept. Various types of classroom technology can play roles in helping students learn, based on whatever platform is most effective for them (e.g., game-based applications, e-textbooks, quizzes, online engagement systems and more). There are also various depths of learning: comprehension, analysis, creation. Certain educational technology solutions focus primarily on the comprehension level, while other products are more successful in terms of analysis or creation. Technology in the classroom can help to address the initial depths of learning, allowing teachers to create more time and activities for deeper learning. Carefully chosen and relevant technology platforms and materials give teachers more time for personal, in-depth interaction with students. Students are accustomed to technology in every aspect of their lives and see technology as something “personal”, or meeting their individual needs and interests, and part of their everyday experience. What educational technology is NOT is a really fancy, really expensive replacement for pencils. It’s not just a way for students to independently complete the same worksheet on their laptops as they would on a piece of paper. Devices should be used to increase student collaboration on documents or presentations; connect students to authentic audiences through student-created blog posts, podcasts or movies; provide students with instruction and practice through quality digital content; quickly and easily provide teachers with actionable data through digital formative assessments; and more. Educational technology is not a replacement for teachers, lessons or personalization. It is a tool to support these goals and assist in fostering successful learning outcomes. 3- WHAT IS THE ROLE OF EDUCATIONAL TECHNOLOGY IN TEACHING? Because technology is growing in sophistication, it makes the teacher’s role increasingly vital. The integration of flexible content and tools can be particularly useful in creating a successful, personalized learning classroom. By leveraging digital content and tools, teachers can provide an individualized path and pace for students. They can also use foundational, adaptive and highly customizable content and tools in order to differentiate the path, pace and performance tasks of learning. Technology in the classroom can help teachers track student progress as well as create the space to provide small group instruction to students who are not using the technology. Where digital content and tools are used, they do not replace the teacher; rather, they work alongside the teacher to better support students’ needs by providing remediation, practice, extension and a variety of ways to demonstrate knowledge authentically. Technology can be an effective way to increase student collaboration on documents or presentations; connect students to authentic audiences through student-created blog posts, podcasts or movies; provide students with instruction and practice through quality digital content; and provide teachers with actionable data through digital formative assessments. The SAMR Model categorizes four different degrees of classroom technology integration: Substitution, Augmentation, Modification and Redefinition. The TPACK Framework identifies three types of knowledge that instructors need to combine for successful integration of educational technology: Technological, Pedagogical and Content Knowledge. It is designed around the idea that what you teach and how you teach must be the basis for any effective use of technology in the classroom. Teachers who try to provide personalized learning to students without the support of technology have a heroic task. It’s nearly impossible to sustain the long hours required to teach, review material, and provide individual feedback for student growth. For a teacher today, curation of information and helping students create knowledge is as important as delivering information. 4- WHAT IS THE ROLE OF EDUCATIONAL TECHNOLOGY IN PERSONALIZED LEARNING? In actual practice, personalization of the learning experience for students is extremely difficult to implement and scale. So while we do not need technology to personalize learning in general, it is certainly helpful in this effort. It’s important to note that personalized learning does NOT mean adopting technology and getting rid of teachers. Instead, it means asking even more of teachers. An intentional approach to personalized learning results in teachers knowing their students and making sure those students are getting what they need, when they need it. Personalized learning extends beyond one teacher’s classroom. It recognizes and values learning that happens from multiple sources, not just what’s in a textbook. Technology serves personalized learning, not the other way around. Types of Technology in the Classroom: What’s Right for You? Although sometimes considered antiquated, there is still a good case to be made for the virtues of desktop computers in blended learning. Nothing else quite gives you the same bang for your buck, and they are considerably easier to maintain and repair if you have the facilities to do so. They are also far less likely to be accidentally dropped or damaged than their more portable competition, and they last for years. Using a full computer (as opposed to a mobile device) means that you are unlikely to run into compatibility issues now or in the near future, and it enables your students to use many different types of programs. On the flip side, desktops require a large amount of space to be more or less permanently devoted to them, and more time and effort is needed to lock down user permissions that prevent students from installing programs or making unwanted changes. 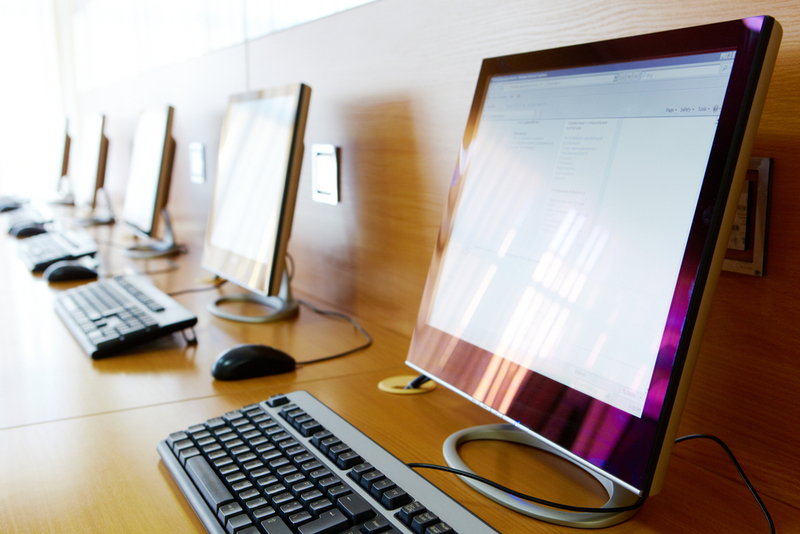 Desktop computers are optimal for schools with an advanced IT infrastructure and the space for a permanent setup, and less effective for those where space is a premium or any degree of portability is required. These are commonly used in schools, as they offer all the advantages of the desktops with the added versatility of being highly portable and taking up a fraction of the space. Mac laptops generally have a higher cost, but usually require less maintenance and offer slightly more protection against invasive software. Windows, on the other hand, provides far more options. Like desktops, laptops require time and effort to lock down user permissions. They are best suited to situations in which the versatility of a full computer is required but space is limited or portability is necessary. They are suboptimal for schools that do not have sophisticated and well-staffed IT departments capable of setting up, securing and maintaining a large number of computers. 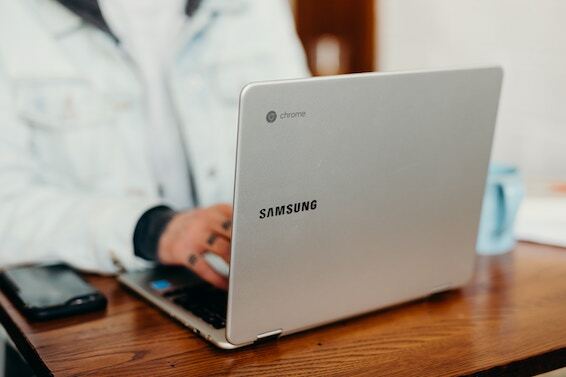 Designed to run on Google’s operating system, Chromebooks look like laptops, but they are significantly cheaper and do not run a wide array of programs or apps. They are manufactured by a number of brands, including Intel, HP and Asus, but are singularly designed to access the internet through the Google Chrome web browser. If your school uses Google Apps extensively or relies on online content and applications exclusively, Chromebooks can be a great choice. They are less expensive than laptops, and since users are unable to install any software, administrators do not need to spend time or resources creating user permissions and restricting access. They are also highly portable, and they include a full keyboard, which makes them easier to operate than most tablets. Be careful about the distinction between Intel and ARM-based Chromebooks, as there are known compatibility problems. Check with your digital content providers to see what they support. If you’re looking to run multiple programs, need local network access or cafe internet connectivity challenges, this is not a good option for you. The iPad is incredibly popular and offers a great advantage, as many students and teachers are already familiar with them. Plus, their intuitive interface makes them easier for newcomers to navigate. However, they do have some severe limitations. The touch interface, for example, makes them unsuitable for a large number of programs, and although keyboards are available, they may not be efficient for entering large amounts of text. Apple tablets are often considered optimal for lower elementary classrooms where touch makes learning easier for students. They are not well suited to situations in which students need to type large amounts of text or access content providers that are designed for a mouse/keyboard interface. 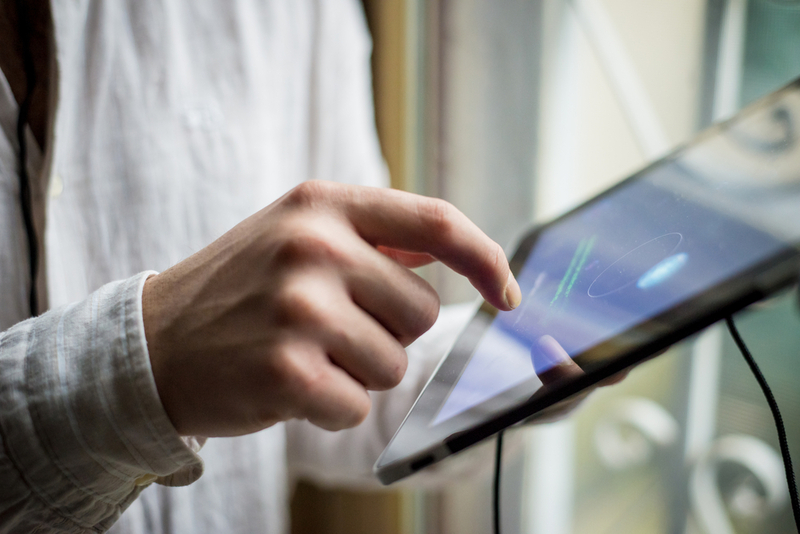 There is a wide array of Android Tablets, and while the selection can be intimidating, it gives you the opportunity to find a device that is tailor-made for your blended learning program needs. 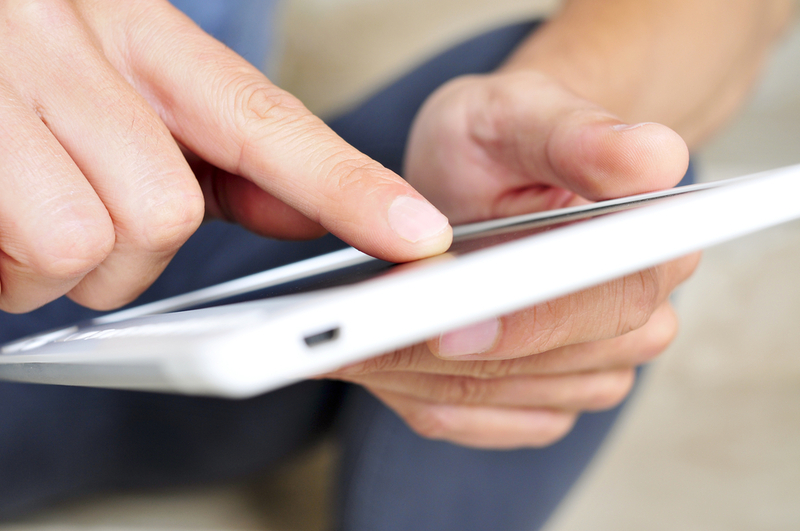 In general, Android tablets offer many of the same advantages and disadvantages of iPads. They are more portable and user-friendly than a majority of computers, but they do not work well with all content providers. There is also a wide array of apps available for Android tablets, though not all of them are accessible through the Kindle Fire version. Android tablets are best for schools that only require access to a limited number of content providers that work well with tablets. They are not good for blended learning programs that seek a greater degree of diversity in device functionality. There are two main types of Windows 8 devices: those that run the full version of Windows 8.1, and those that run on Windows RT. Windows 8.1 or 8.1 Pro are the exact same operating systems as you would find on laptops and desktops. You can plug in a mouse and keyboard, run Flash sites and even use PC programs. But the added portability generally comes at a higher price point and with less power and storage. Windows RT is a stripped-down, less expensive version of Windows 8, and can only run programs downloaded through the Microsoft store. As always, make sure you try any device out with the programs you want to use before buying. Start with a problem, not with a product. Take a moment and define what strategic issue you are looking to solve. Even better, imagine with your users and for your vendors what the future state will be. This visioning can result in a variety of formats: maybe a list of goals or a visual such as a future-state journey map. Refocusing your team and users on what problems you are trying to solve will help them innovate when selecting new technology, as opposed to merely identifying something that replaces the current tools (and encourages current inefficiencies). 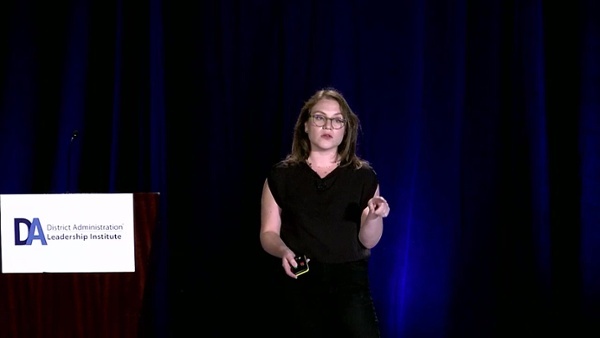 Be clear about the realities of your users, including their wants, needs, preferences. Consider building personas to keep them at the forefront of your mind and to identify similarities and patterns across behaviors, motivations and commonly held goals. Personas help to humanize your needs to vendors and support a user-focused approach. Get your School Board and leaders “on board.” Think about what “skin in the game” these leaders have or how a particular technology purchase could have a rippling impact across your community. Identify existing communication channels to provide updates and keep them abreast of things that matter to them. Build shared objectives so they become just as focused on solving the problem, instead of focusing on the product you are selecting. Be realistic about what your team can handle (and afford). Can you seriously make your vision a reality? Do you have the resources? Do you have the skills? Find help, and if resources are scarce, have your vendor find them. Contract costs are just the tip of the iceberg, and a critical planning activity is for teams to take a moment and evaluate the total internal and external budget necessary to make this purchase successful. If you need to train teachers, what will be the costs of securing subs? If you need to make packets, what will be the cost of printing materials? As you perform reference checks with other similar districts, find out what they wish they had done differently – maybe they would have included different perspectives on their team, organized their rollout to teachers differently, or written a different requirement into their vendor contract. Your vendor relationship will only be successful if it’s built on trust. If you are out to pinch a vendor for the purposes of getting a good deal, it will backfire in the end. It’s only fair to approach the relationship with the goal of creating a win-win scenario for both the district and the vendor. This will nurture a cooperative spirit during the process of planning and negotiation, and vendors will be more enthusiastic about offering information and working hard to provide what you need. Creating a positive and fruitful environment for both parties will also strengthen the ongoing relationship, as it’s easier and much more cost-effective to continue to work with someone who understands your needs and goals than to start all over with someone new, and do so repeatedly. Always think critically about the process, but a certain level of trust is necessary to get the most out of your relationship with your technology vendors. 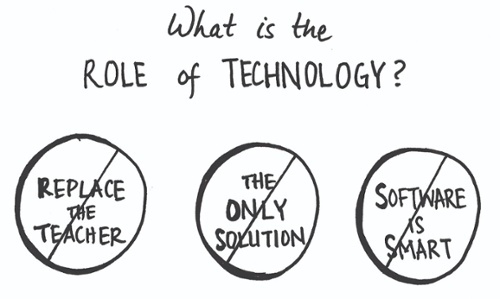 Understand the nature of technology. It’s important to recognize and remember that technology becomes obsolete and devaluated quickly, so renewing hardware has to be an ongoing process, not a one-time investment. You should move forward with the expectation that you’ll likely need to renew your solutions every three to five years. The technology procurement process can be intimidating and exhausting, riddled with false-starts and unexpected stalls. It’s easy to become frustrated with every aspect of it, from comparing vendors to identifying the products and services you actually need. It’s a tough task, but when approached strategically, it can lead to a major improvement in educational outcomes. 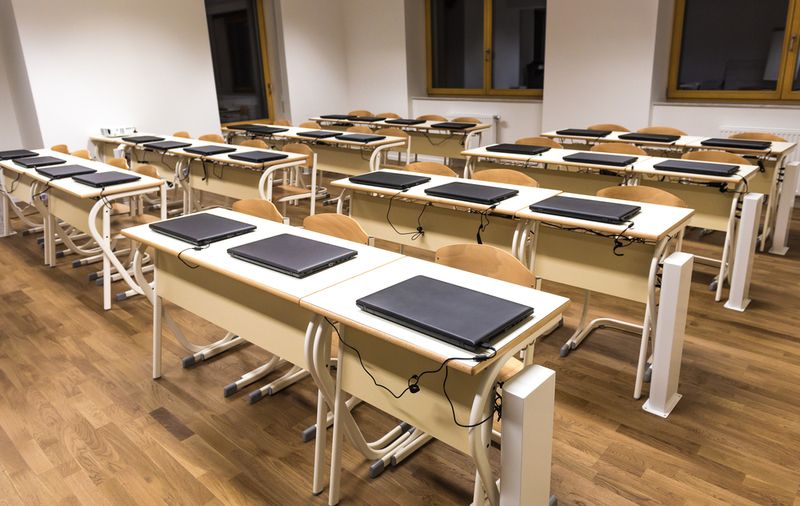 In addition to choosing the appropriate hardware for your educational technology needs, it’s important to take a careful approach to software selection. Trying to figure out which digital content curriculum and providers are right for your school or district can be difficult. The market is already diverse and complex enough to overwhelm many teachers or school leaders who are trying to decide which products to choose. Faced with the prospect of selecting content from a market in which new companies crop up every month and each product promises great results, school leaders wonder: Where should we begin? How can we narrow down a short list of content providers from the many that are available? How do we know if a provider will work for our group of students? What role do you want digital content to play in the learning process? To select content that will work for your school, you must have a good understanding of what role or purpose you want the digital content to play in your classrooms. Do you want the content to introduce new concepts to students? Allow them to practice skills the teacher introduces during direct instruction? Test students and identify skill gaps? Use it to remediate or accelerate student learning? Blended learning can be used for any one or all of these scenarios, and there are products that target each. The more specific you can be about what you want the content to do before you start looking at potential providers, the easier it will be to narrow down which options are right for your school. What role do you envision the teacher playing in the management of the digital content? Schools that are new to blended learning may want to start with a more adaptive program designed to automatically find and assign content to each student. These work well for new teachers because students get lessons that target their skill gaps with minimal input from the instructor. The caveat with adaptive programs is that the content will not be as tightly aligned to what is being taught in class on a particular day. Teachers who want to take a more hands-on role with their digital content should consider assignable products that allow teachers to align what students are seeing on the computer to what is being taught in class. The tradeoff with assignable products is that they usually take more time for the teacher to manage, as they have to push content out to students on a regular basis. There are also more flexible programs that allow teachers to choose whether to assign specific lesson modules to students or let the program adapt and administer content tailored to each student. It’s important for schools leaders to honestly assess their teachers’ bandwidth and desire to manage content in a hands-on manner. What are the unique needs of your student population? Outline any trends or special needs of your student population, and think about how these factors may affect the content you will ultimately choose. All too often, schools purchase a product because they heard it worked for another school. However, it is important to remember that what might have worked for one group of students may not work for your own. Before deciding on content, think over the strengths and weaknesses of your student population. Are the majority of your students reading below grade level? Do you have a significant ELL population? Are there a cohort of students who need accelerated subject matter? Outlining your student body’s weaknesses (and strengths) will help you identify the product offerings that are most finely tailored to the needs of your kids. ST Math is an example of a program that uses a spatial temporal approach and presents mathematical concepts visually. While this approach works well for the general student population, it works especially well for English Language Learners because it does not rely on words, but rather visual representations of mathematical concepts. Are you leveraging data to drive decisions around digital content and curriculum? improvement. Through such analysis, teachers can modify their instruction to meet the specific needs of students. With this framework in mind, you will have a strong starting point for selecting digital content that does what you want it to do, works for your teachers and addresses the needs of your students. Ultimately, by asking and answering these questions, you will increase the chances of success when implemented in classrooms. Pedagogy – What is the pedagogical approach? Does the software provide direct instruction, inquiry-based learning experiences or game-based learning? How does the program customize learning for students? Reporting – What are the different types of reports? Can these reports be customized to show data in categories that the school needs? Implementation – What are the bandwidth requirements? What are the hardware requirements? What browsers and versions are needed to run the program? Professional Development – What does user training look like? Can it be customized depending on the school’s needs? Are there resources and ongoing support? By using these guidelines, you’ll have a stronger foundation from which to develop a mix of content customized for your school’s needs. As you select and procure the right technology products and digital content providers, you’re faced with the daunting task of implementation. To keep your efforts on track, as well as streamline the process for everyone and make the most of your technology in the classroom, keep these expert tips in mind. Align Your Technology with Your Vision: Implementing high-quality educational technology involves much more than device deployment; it requires a district-wide vision, design thinking, change management and alignment at every level, from the classroom to the boardroom. Be sure to identify your needs, vision and strategy before developing a technology plan and digital content portfolio. Vision-setting can take anywhere from a few days to a few months and should include the voice of teachers, students and school and district administrators. Consider your Instructional Approach: As you prepare for the integration of technology, consider how you might shift the instructional approach itself. What instructional models are the right approach(es) for your system, school, and what are pathways for various teachers and schools. Knowing these approaches ensures that the choices about technology will support your instructional approach and not the other way around. Honor the Role of the Teacher: When school leaders are buying devices for their classrooms, it is essential to ensure that no teacher feels obsolete. Computers are not a substitute for good teachers. Period. It’s not that computers are inept vehicles for delivering instruction. In fact, many online programs are delivering remarkably powerful instruction. But teachers are critical in the process of leveraging new opportunities that current innovations in education open up for them. Review and Demo Digital Tools: This phase is key to ensuring you get the right tools based on the specific needs of your teachers and students, and that you include key stakeholders in the process. Consider demoing tools for at least a few weeks and including feedback from students and teachers. From start to finish, the review, demo and selection of digital tools might take two to four months. Prioritize Student Needs: People tend to buy devices and subscriptions first, making subsequent purchases based on the new technology. But it’s important to focus on the students and their needs, onboarding solutions that are tied directly to those elements. Implement classroom technology based exclusively on the outcomes you are seeking. 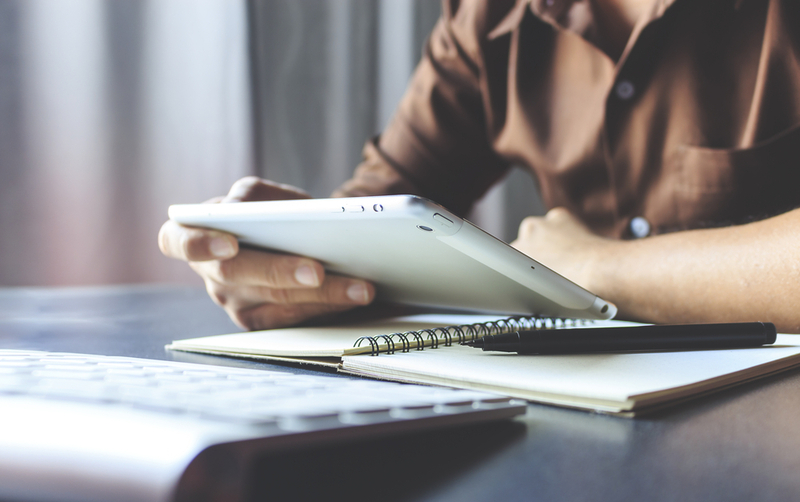 Provide Space and Time for Professional Development: The value of educational technology is directly related to the caliber of implementation training. Users must be thoroughly educated and trained on the new tools and solutions if there’s any chance of deriving tangible benefits and value from the investment. Leverage Technology for Learning: Do not use technology as a babysitter. These tools and applications are a means of cultivating stronger engagement with more successful educational outcomes, not keeping students busy with blanket technology programs that don’t serve individual needs. Blend with Purpose: Intentionally blend the software experience with offline education. For example, a science teacher may conduct hands-on experiments in the classroom, supported by a playlist of background knowledge, vocabulary and concepts featured through online links and followed up with an interactive quiz or assessment. When schools fail to blend online and offline programs, the results are not positive. Facilitate Student Ownership: This can be accomplished by tracking and reflecting their progress. Set expectations for them to outline and monitor individual goals. Providing opportunities for student voice and choice within the classroom is the most critical element to engage and develop independent learners. By integrating technology into classrooms, teachers have the tools to customize learning based on student needs. Ultimately, technology is a vehicle for driving educational success, but it is the teacher who coherently integrates these elements into a personalized learning environment. Student outcomes remain the priority in any classroom technology pursuit. That said, today’s opportunities to leverage technology in the classroom are dynamic, exciting and valuable. Take advantage of the solutions at your disposal by staying informed, employing a methodical approach and never losing sight of your educational objectives. Start the conversation to define and implement the right technology strategies to successfully realize your educational vision. Need help selecting the right technology for your district, schools, or classrooms? You are at the right place!